YAMM is here to help change the world. In a summer or over a year, young adults can grow personally, professionally, emotionally and spiritually, build community, improve skills, and change a bit of the world. Apply today for the 2019 - 2020 internship year! Click here for information on the staff and support partners. 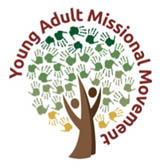 The Micro Missional Communities program is a one-year commitment (from September 2019 to August 2020) for 18-30 year olds of mutually transformational experiences between young adults, their living communities, the neighborhoods and the organizations in which they'll serve. The year is designed to be intentionally cross-cultural; purposeful in transformation and renewing for individuals and organizations as well. Click here for possible sites and open positions. Furnished housing and necessary utilities including air conditioning, kitchen supplies and utensils, and internet service. Joint grocery budget- Household expenses are shared among team members. Planning, shopping, cooking and meals will be shared together as much as possible. Grocery allowance is $150 per person on team. Health insurance- if not otherwise covered. Personal stipend $300 per month for personal spending. Exceedingly qualified staff to guide the work. Transportation allowance- Monthly bus pass/ program car in some locations. If the participant brings their personal car, the equivalent will be given for gas. Common retreats/ books- Three retreats over the year with all the other interns. Costs and transportation will be coordinated. Any team reading material will be provided. Loan deferment potential- depends upon education loan type. Click here for program details and nitty gritty information.